CSTK is currently in the process of expanding and renovating their Kansas City service facility. CSTK St. Louis has been announced as Aurora’s Featured Dealer of the Month! Aurora Parts & Accessories, LLC., operates their 300,000 sq. ft. distribution center in Lebanon, Indiana. They provide trailer parts, container/chassis components, and truck body parts for the transportation industry in North America. CSTK works closely with Aurora to better offer customers a great product at the best price. 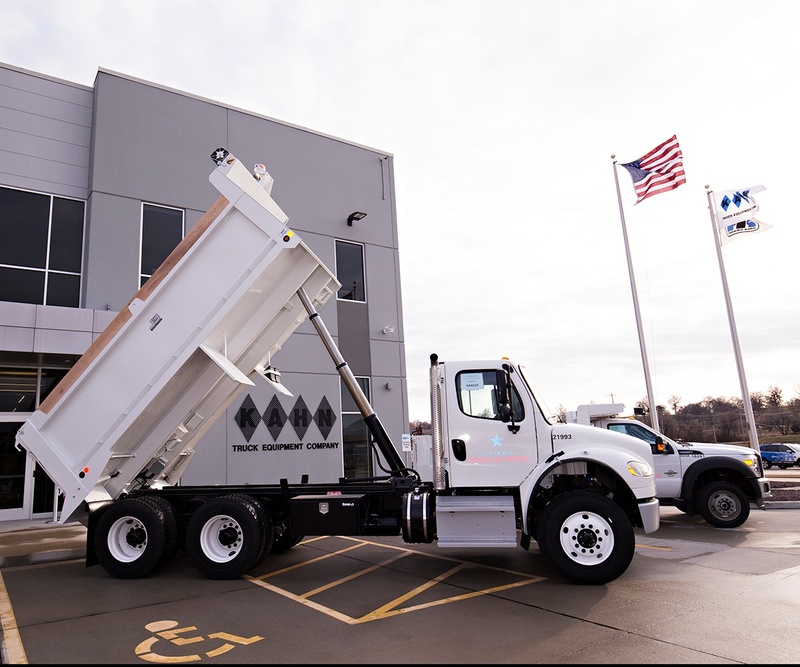 KahnTEC was recently featured in two industry publications, Equipment World and Successful Dealer, due to the new distributorship agreement with J&J Truck Bodies. Check out the stories by clicking the links below! CSTK St. Louis Building Progress: Walls Are Going Up! Construction is underway in St. Louis, where CSTK is building an all-new, expanded facility. Walls went up this week at the new location under contruction at 420 Carrie Avenue in St. Louis, Missouri. Construction is underway at CSTK's new facility in Saint Louis, Missouri. Here are some of the latest photographs from the construction site. Construction is underway at CSTK's new Bethlehem, Pennsylvania location in the Lehigh Valley Industrial Park. On July 14-15, walls started going up at the site of the new facility. CSTK's Chief Operating Officer Allen Lane recently spoke to FleetOwner Magazine about the importance of a beneficial relationship between fleets and the dealerships that serve them.